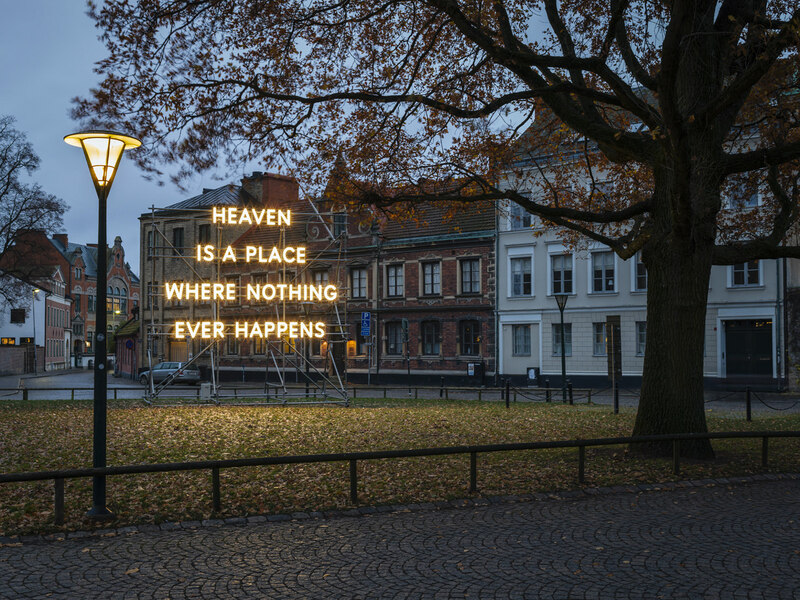 ‘And We Are Everywhere’ is an ambitious new artwork by Nathan Coley located on Lund Cathedral’s land in Brunnshög. 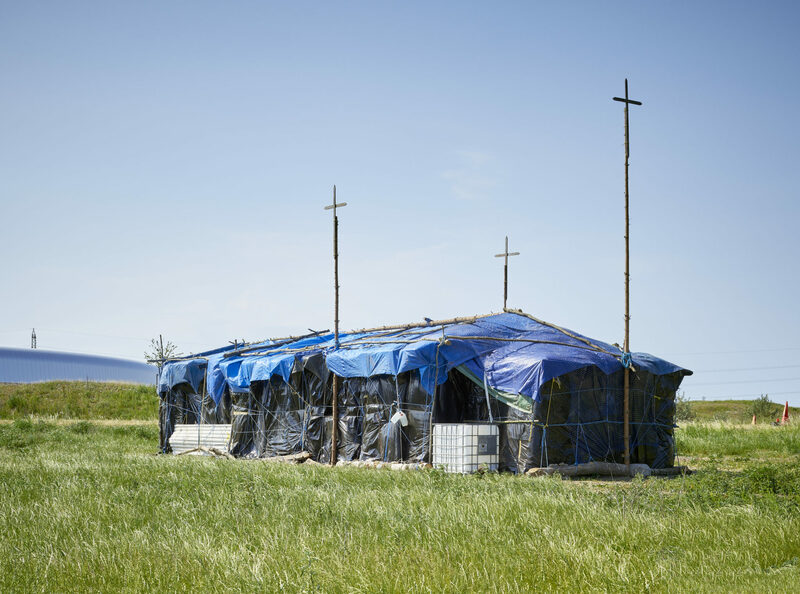 Sited within a rural landscape, the sculpture addresses fundamental issues at stake in both the Church’s development and 21st century life: the ways in which faith and belief systems become manifest; the role of the Church; and the drive for humanity to find a place in the world. It is a bold and poetic contribution to the narrative, which begs a series of questions: Who has made this? Is it a church? With whose authority has it been built? The character of the work is temporary, ramshackle and seemingly unauthored. In direct contrast to Lund Cathedral, it takes the form of a hastily made place of worship that has no official status and can be easily destroyed. However, the attention to detail and evident care with which it has been constructed references basic human actions, humility and the art of ‘making-do’. The title forces us to ask ‘Who is ‘we’?’ Is it the Church, humankind, or people with no homeland? 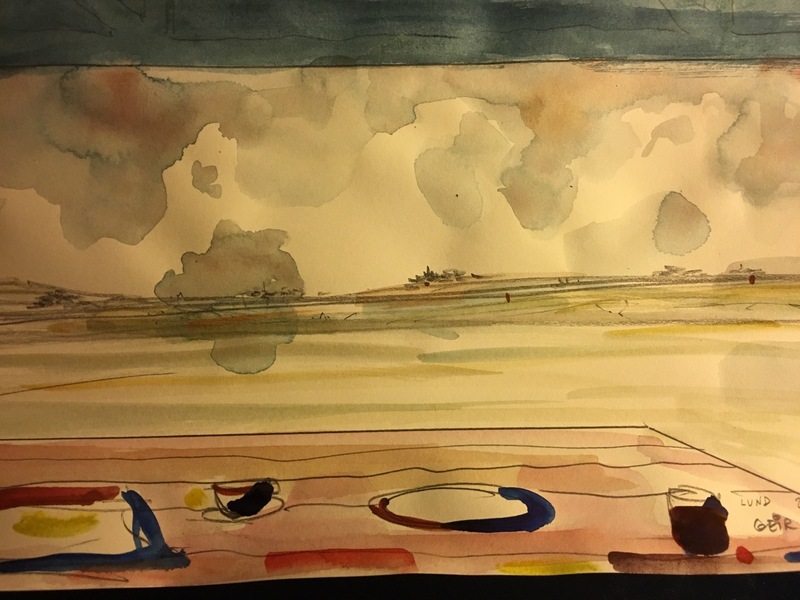 The ‘everywhere’ evokes a spatial relationship to the land which could encompass Brunnshög, Lund, Sweden, the world. While being inherently linked to the soil upon which it sits, the sculpture speaks to a universal audience. Visit: ‘And We Are Everywhere’ is located on Utmarksvägen in Brunnshög, opposite MAX IV. Parking is available in the adjacent site.